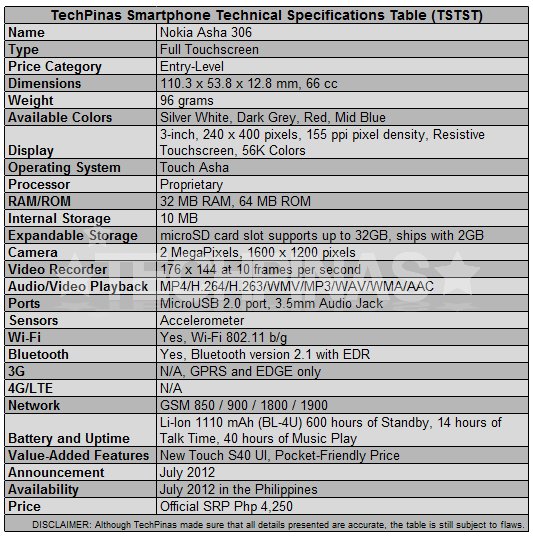 Nokia Asha 306 Philippines Price, Specs, Release Date, Features : Affordable WiFi Enabled Full Touchscreen Phone, Out Now! 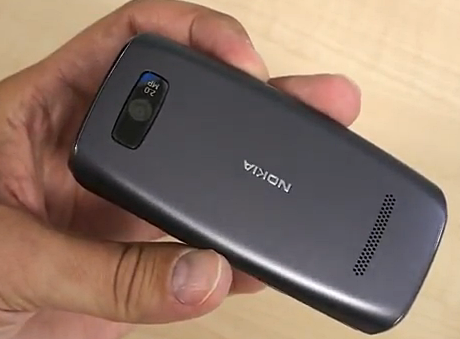 The cute Nokia Asha 306 looks almost identical to its slightly more affordable brother, the Nokia Asha 305 -- but the former has an important connectivity feature that the latter doesn't. 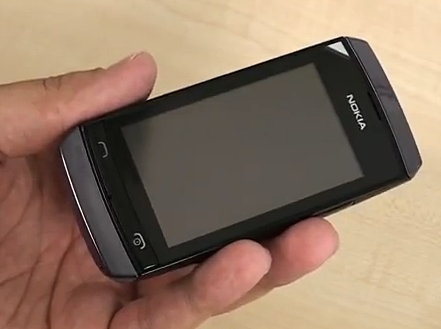 Priced at only Php 4,250, Nokia Asha 306 is one of the more affordable handsets from a reliable brand that's Wifi-enabled. Supporting such connection means that the phone can let users enjoy quick access to online content and to popular social networking sites like Facebook and Twitter via free Wifi zones, which are almost everywhere these days. But that's hardly the only thing that makes this phone special. 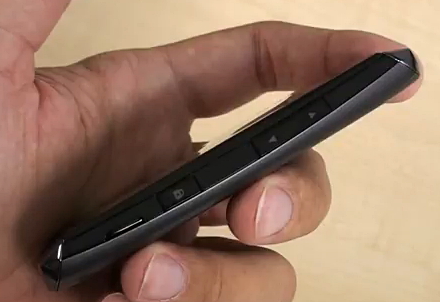 Nokia Asha 306, like the Dual SIM Nokia Asha 305, runs Nokia's revamped, touch-optimized S40 operating system called Touch Asha. What's hot about this OS is that - aside from the fact that it's both easy to navigate and easy on the eyes - it comes with Nokia Browser 2.0, which - as earlier explained on TP - uses cloud technology to reduce data usage by up to 90% and, in the process, makes web pages load faster, improves battery life, and lowers mobile data charges. Made for young consumers, Nokia Asha 306 comes with a slew of multimedia features that will surely entertain even the most active user. There's a 2 MegaPixel camera, a video recorder, FM radio, music player, and a free EA (Electronic Arts) Games Package including 40 of its best-selling titles like Need for Speed, Bejeweled, and Fifa 2012. And should users want even more games and other applications, they can always drop Nokia Store a visit. Social networking is totally the in thing today and Nokia Asha 306 users will be glad to know that their phone comes with Facebook and Twitter applications that are made specifically for Asha Touch. These apps make it easier to browse content and to update status message on these popular sites. 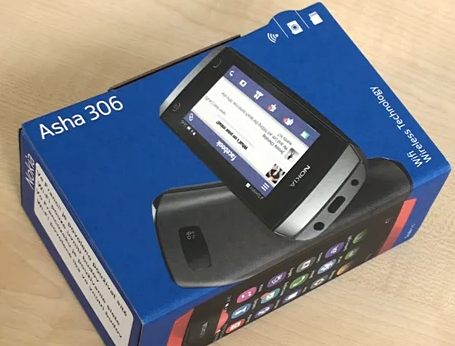 You now can get Nokia Asha 306 at all Nokia stores and authorized retail outlets nationwide. The handset is available in four youthful colors, namely, Red, Mid Blue, Dark Grey and Silver White.